Cosmetic Clays are present in almost all traditional beauty regimens because of their impressive mineral composition and their important role in supporting healthy and beautiful skin. Clays exfoliate, cleanse away dirt, absorb excess oil, draw out impurities and invigorate the skin while also helping to support healthy circulation. 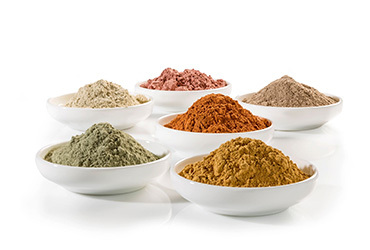 Cosmetic Clays are well suited for use within facials, body powders, soaps, emulsions , bath salts, and a wide array of other cosmetic, beauty and personal care formulations.